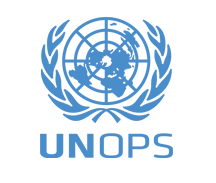 Mandated as a central resource of the United Nations, United Nations Office for Project Services (UNOPS) provides project management, procurement and infrastructure services across more than 100 countries. Security sector reform. Project management and administrative support in establishment of an independent and professional judiciary and prosecution service in Kosovo. Physical security infrastructure. UNOPS has the skills and experience to design and manage construction of prisons suitable for post-conflict, disaster-stricken or developing environments. UNOPS has been involved in the construction of prisons in Afghanistan, Guatemala, Liberia, Palestine, Somalia and South Sudan. Procurement. UNOPS procured uniforms for the Peruvian National Police. Humanitarian mine action and the removal of unexploded ordnance. Helps partners to plan, implement, manage and monitor their Mine Action projects and programmes, deliver fast procurement, recruitment and operational management and to facilitate delivery of humanitarian aid and launch emergency mine clearance. Disarmament, demobilization, reintegration of ex-combatants. In Nigeria, UNOPS has developed a reorientation programme to address the social challenges affecting former militants. Return and reintegration of internally displaced people. In Iraq, UNOPS supported UNHCR initiative aimed at enhancing national capacities to support IDPs. In DR Congo, an inter-agency profiling project funded by UNHCR was executed together with the WFP in the IDP camps. National capacity development and advisory services. UNOPS supported EUPOL COPPS to establish a training fund to support more than 50 courses. UNOPS has also developed infrastructure and procurement capabilities of the Palestinian Civil Police and the rule of law sector that have to plan and manage physical infrastructure such as courts, police stations, prisons and administration buildings.